It is a truth universally established that The Lone Ranger bombed. For those of us who follow and write about movies, the reasons are wide and varied. The source material is not that familiar to today's audiences, more in tune with Marvel/DC characters than one originating from radio. The story meandered to where it could not sustain its two-and-a-half hour running time. Some plot elements were superfluous (the entire Helena Bonham Carter storyline of the one-legged madam could have been cut entirely without affecting the story). The film shifted in tones from comedic to horrific (from the bumbling lead character to the villain turning cannibal). The secondary lead's character was if not an outright stereotype at least a crude imitation thereof (particularly given that the other Native American characters spoke English perfectly). In short, The Lone Ranger is not only a mess of a movie, but one that does what I detest most: attempt to be nothing more than a (VERY LONG) trailer for more Lone Ranger films without first justifying WHY there would be more Lone Ranger films. It didn't even justify its existence, let alone justify an entire franchise to a little known/remembered series. However, Lone Ranger stars Johnny Depp, Armie Hammer, and producer Jerry Bruckheimer have found the reason why The Lone Ranger bombed...and guess what? It had NOTHING to do with them or their film whatsoever. That's right people: two men who made $2 million (Hammer*) and $20 million (Depp) for the film, and a man whose net worth is $850 million (Bruckheimer) believe the reason The Lone Range flopped was because of yours truly, a man who makes $20,000 per year. Not Per Month, Not Per Week, Not Per Day, Not Per Hour, but PER YEAR. While my entire annual salary would not cover the catering for The Lone Ranger, somehow I was responsible for the public's rejection of the film. We just MADE the film. Each of them has gone on a media blitz post-Lone Ranger release, saying that the negative reviews for The Lone Ranger killed off the legendary hero and his adventures with his trusty Indian sidekick (and perhaps, the hopes for more Tonto/Reid romps). In particular, reports of the $250 million dollar budget motivated the critics to trash the movie, because in their world, we HATE movies that spend so much on its production. Hammer, Depp, and Bruckheimer took to the same press they blame for The Lone Ranger's dismal box office performance to bemoan how critics savaged the film, how the words of all these bitter old men and women could not see the artistry, the sheer genius, the fun and exciting first feature they had made. Instead, we all acted out of spite, writing reviews long before the film was released, deciding that because it cost so much to make, we all basically held some secret cabal gatherings (The Protocols of the Elders of Roger Ebert?) to destroy this film which will rank in years to come on par with Citizen Kane or Vertigo or even Argo. “I think the reviews were written seven to eight months before we released the film,” (Depp). Well, let's tackle some of these critiques of critics. In response to Depp, in this case he owes me an apology because I state many times that if I don't see a movie, I don't talk about it with one exception. I mocked The Notebook before I saw it, but at least I never actually reviewed it until AFTER I saw it. For him to say that we as a body decided to not just prejudge a film but also to trash it without actually seeing it is a baseless cheap shot. He certainly didn't seem to mind when Pirates of the Caribbean: The Curse of the Black Pearl or Finding Neverland or Charlie & The Chocolate Factory all got positive reviews (the last in particular a curious turn when critics loved it, audiences didn't). Did he accuse the critics of writing the reviews for all these films before their release? Maybe we all love Roald Dahl so much that we went against the public's wish and gave it positive reviews when the hoi polloi we so masterfully control preferred Willy Wonka & the Chocolate Factory. Bruckheimer makes an accusation, so let us examine it. I am a member of the Online Film Critics Society, and as of today there are twenty-seven English-language reviews for The Lone Ranger (and one in Ukrainian, Portuguese, Spanish, and Indonesian, which I won't bother to read. I could try the Spanish and Portuguese, but I don't think I have to, one of the reviews is in English, but written by a Czech reviewer). Out of the twenty-seven reviews written as of today for The Lone Ranger on behalf of the OFCS, the total that even mentioned the budget? Out of those, all but one of them really could be said to actually give much thought to the $250 million cost of the film. Most of the seven just talked about how something so expensive could be so cheap. The reviews actually focused more on the racism of having Johnny Depp playing not just a Native American (his claims of having some Indian ancestry notwithstanding) but one who spoke in stereotypical broken English than they did on how much the whole thing cost. I can't speak for every critic in the world, or even for my organization, but when a majority of the reviews for The Lone Ranger of the group I belong to focus on the end result and not the cost, Bruckheimer's argument collapses. He has no case to lash out at the reviewers who went after the product, not the price tag. Finally, let us turn to Hammer. It's a typical charge made against critics: we're all snobs who look down on popular/non-intellectual material. Contrary to what Armie Hammer may believe, I do not host salons where while drinking Dom Perignon we discuss the intricacies of Proust or whether Satre or Camus was the true existentialist. 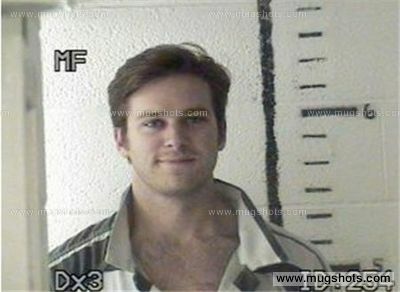 It is true: I have a Bachelor's Degree and am working towards my Master's, but sorry Armie. I consider myself a man of average intelligence. I do not think I'm a great intellectual or someone who is high-minded. I LOVED The Hangover (hardly a Criterion-worthy film) and DETESTED The Tree of Life (highfallutin' nonsense). I appreciate a film for what it is trying to do, not whether I think it reaches some 'intellectual threshold', so in this case, the snob is you not me. IF Hammer were correct, such films as The Hangover, The 40-Year-Old Virgin, and The Avengers, would all have been savaged by critics because they are raunchy comedies and comic book-based films. However, they were highly praised and massive hits. Why? Here's a thought Mr. Hammer: they were actually GOOD! Your film, Mr. Hammer, was not. Hammer, Depp, and Bruckheimer have turned into Lone Ranger Truthers, believing that it was a major conspiracy that brought their film down, not say...anything they themselves did. They will not take responsibility for their product, instead shifting blame on people like me (and by extension, you, the movie-going public) for not loving what they did. I take it as the greatest act of shameless egoism. It wasn't MY fault, they are arguing. It was THEIR fault. Despite myself, it was MY fault. I should have loved the film. I should have praised it (even if I didn't like it), and I apparently was just too dumb to recognize its brilliance. Finally, I will take up Jerry's challenge. Let's set five years from now, I will revisit The Lone Ranger to see if my opinion changes. In fact, I challenge my fellow film critics to revisit The Lone Ranger en masse five years from now. We'll have a party for it, and then see if we have seen the error of our ways or if two men old enough to be my father (and one who is not) will man up, admit they made a bad film, and apologize to us. That kid from Texas? The grad student? HE killed this generation's The Searchers! *This of course is not counting the millions Hammer already was born into as an heir to the Hammer fortune. It's a bit like a Kennedy or Rockefeller pleading poverty to me and saying that at my $20,000, I simply earn too much. ** While Cleopatra was (and is) still disliked by many critics, the public (and I) LOVED it, turning it into a massive hit. However, it was SO expensive that it took years to recover its costs despite the high ticket sales on its release. Also, I personally HATE Titanic (always referred to by me as Trash-tanic), but in that instance, my powers of persuasion failed. “I think they were reviewing the budget, not reviewing the movie." Is a purely idiotic statement. The Lone Ranger bombing at the box office really should have not been such a big deal. Many better movies have bombed and many worse movies have made a crap load of money. Marketing and the fact that most audiences do not care about the Lone Ranger franchise (myself not included). By the way, I am 100% with you on the "Trash-tanic." It is one of the most clichéd, overly bloated attempts at an "romantic epic" I have ever seen. It should not have made so much money. P.S. I will probably forget to review the movie in five years, but when you post something about it, I will probably join in. There seems to be one movie whose failure draws special attention. Last year, it was John Carter (which I enjoyed despite its problems). This year: a toss-up between Lone Ranger and After Earth. Trash-tanic made money because little girls went over and over again. While the actual sinking was good, everything else was dreadful.